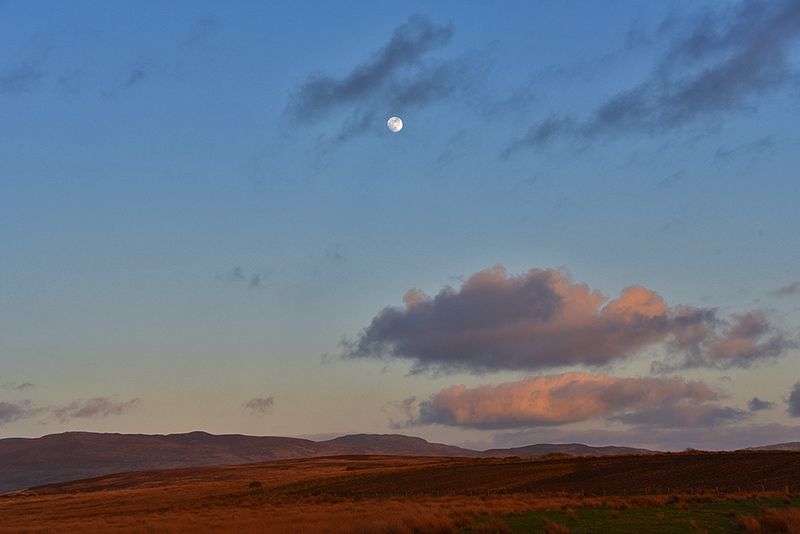 An evening view north east from near Bowmore, the full Moon high in the evening sky over the low hills. This entry was posted in Cloudy Weather, Landscape, New Post, Sunny Weather, Sunset and tagged Bowmore, Islay, Moon by Armin Grewe. Bookmark the permalink.